Giving back to the community where we live, work, and play. Our Friendship Mission Donation Drive was conducted in May/June of 2018 to help the homeless men, women and children of the River Region to get back on their feet and become self-sufficient, again! 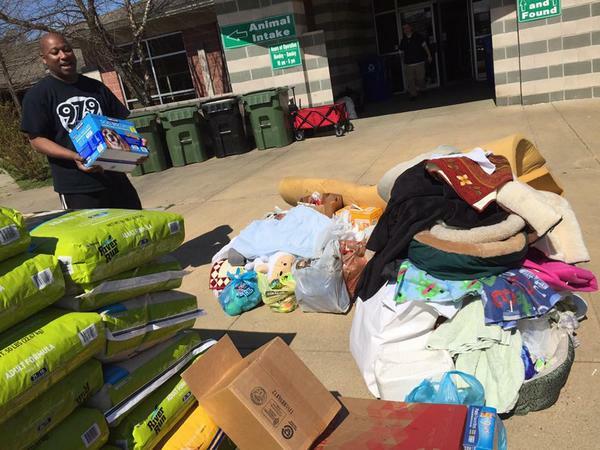 This was all done through the Friendship Mission, an organization dedicated to helping the homeless. 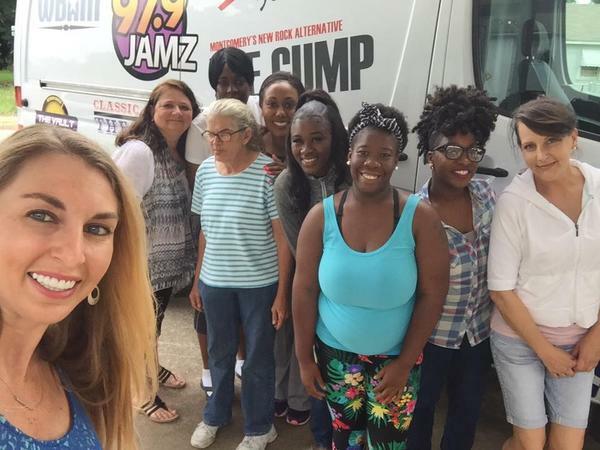 Our sponsors for this 3-week promotion were Montgomery Eye Physicians, Capital Hyundai, Midtown Pizza Kitchen, Lewis Lawn Equipment and Guardian Credit Union, and we collected over an entire 16-foot Sprinter Van full of clothes, non-perishables, shoes, dishes, bedding and cleaning supplies to be divided up between both the men’s and women’s shelters. Our Paw It Forward promotion was conducted in February/March of 2018 to collect donations to be divided up between the Montgomery, Prattville/Autauga and Elmore Country Humane Societies, because they were running low on food, cleaning supplies, bedding, etc. Our sponsors for this 3-week promotion were Lewis Lawn Equipment, Zap Pest Control, Velvet Pumpkin, Montgomery Eye Physicians, Pet Palace Hotels and Montgomery Subaru, and we collected over 3,000 pounds of food to be donated to the shelters, among many other things that were divided up between all three shelters. Our Holiday Food Drive promotion was conducted in November/December of 2017 to make sure that no family would have to go through the holiday season without a hot meal. 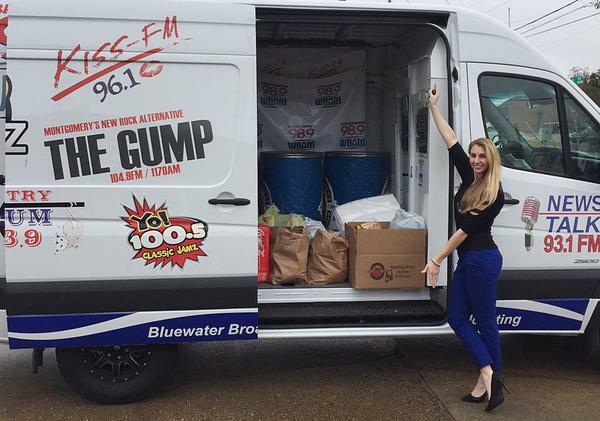 Our sponsors for this 4-week promotion were ASE Credit Union, Montgomery Eye Physicians, Heavy, Gulf Coast Supply and Riverside Chevrolet, and we were able to collect thousands of pounds of food for the hungry. Our Cram the Van promotion was conducted in July/August of 2017 to make sure the children and teachers of the River Region would get off to a good start to the school year with plenty of new school supplies. 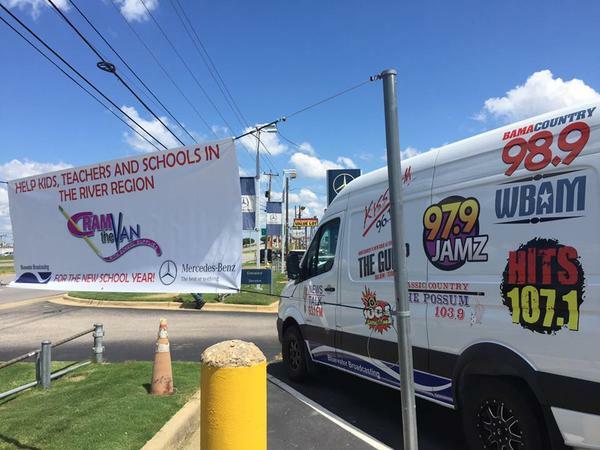 Jack Ingram Motors was our sole sponsor for this 2-week promotion, and we collected enough to divide all of the donations among public schools in Montgomery and Elmore County. Why not visit our advertising page, to learn more!